This piece, by James Siegal and Ed Foster-Simeon, is a response to PACE’s recent report: “Youth Civic Engagement for Health Equity and Community Safety: How Funders Can Embrace the Power of Young People to Advance Healthier, Safer Communities for All.” To read the full report and learn more about PACE’s Health and Safety initiative, click here. We have learned through our experience as national nonprofits working on the ground in communities across the U.S. that elevating community leadership is critical to making a lasting impact in communities, and engaging youth is a critical part of the equation. PACE’s report is an important contribution that highlights critical links between engaging youth, addressing inequity, and achieving health and safety outcomes. We particularly value the recommendation for funders to consider applying a screen for civic engagement and equity across all grantees. Civic engagement should be viewed not as a program that sits to the side of other grantmaking, but rather as an essential component to drive outcomes of programmatic or policy work by grantees. KaBOOM! builds great places to play in communities that experience health and safety challenges due to significant disinvestment, which often disproportionately impact kids of color. We embrace youth civic engagement in all of our work; many of our projects begin with kids in the community designing their dream playspace, and end with everyone coming together to bring their dreams to life. Civic engagement should be viewed not as a program that sits to the side of other grantmaking, but rather as an essential component to drive outcomes of programmatic or policy work by grantees. Closing the gap in access to places to play in this way not only improves kids’ physical, social, and emotional health by encouraging more play, it enhances neighborhood safety as well because the community, including youth, have ownership of and protect the playspace they helped design and build. For example, in partnership with The Colorado Health Foundation we are helping to address low levels of physical activity; less than half of Colorado kids get the recommended 60 minutes every day. Our work not only increased the amount of time kids spent playing, but our practice of elevating community leadership through building playspaces with regional health foundations led to 92% of community members believing that they can help make things better in their community by working with others. Overall, survey results show that 91% of community leaders we’ve worked with felt the new playspace provided a safe haven for kids and families. But the effects don’t end with play time. These efforts are often part of large-scale, long-term community health initiatives that enable us to help catalyze broader and deeper community participation long after a playground is built, by integrally linking civic engagement outcomes. At the U.S. Soccer Foundation, we’ve also seen the tremendous impact a safe place to play can have on a community. As part of our work to use the transformative power of soccer to improve lives, we create brightly colored mini-pitches that not only transform the look and feel of communities, but are shown to improve perceptions of safety. Community engagement, when planning the creation of these safe places to play, is integral to the process from the outset and continues well after the pitch is opened and being used. These spaces also help build neighborhood cohesion and strengthen community bonds for both youth and their families. 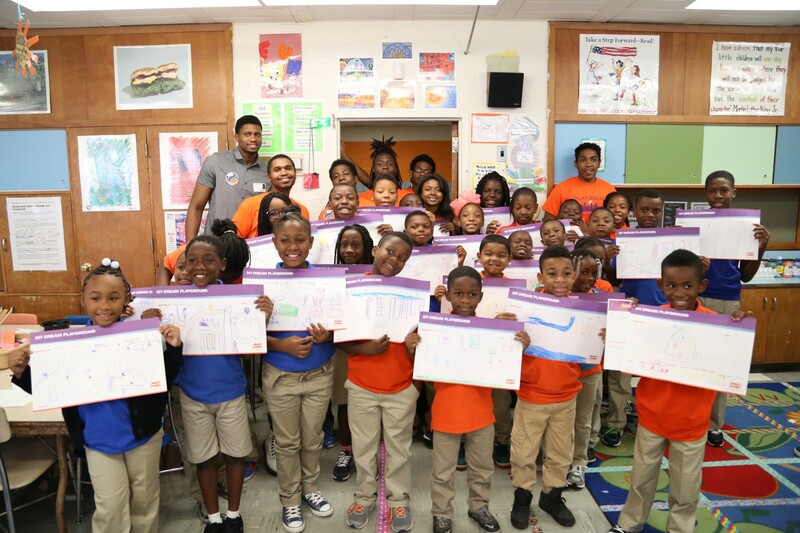 At KaBOOM!, our work to engage youth took on added significance in 2015, when the civic unrest following Freddie Gray’s killing spotlighted the disparities in opportunities for young people in Baltimore. Almost 20 percent of black youth were not working or in school, creating barriers to building the skills, knowledge, and sense of purpose needed to be successful as adults. As a way to address these disparities, KaBOOM! launched Play More B’More, with catalytic funding from the Annie E. Casey Foundation and the CarMax Foundation, to connect Baltimore youth to opportunities for education, employment and community service through paid apprenticeships, giving them leadership roles in improving their own neighborhoods. Youth gained experience in project management, community outreach and fundraising, and they reported that, as a result of participation in the program, they believe they can make a difference in their community, were more prepared for success in school or a future job search, and could identify people or groups who can help them address a broad community problem. Funders need to continue to serve as conveners and ensure that the youth voice, ideas, and innovations are part of the conversation and the solution to the positive changes being made in communities across the country. At the U.S. Soccer Foundation, youth are an integral part of our Soccer for Success program. They are encouraged to give their opinions on activities and participate in decision-making. 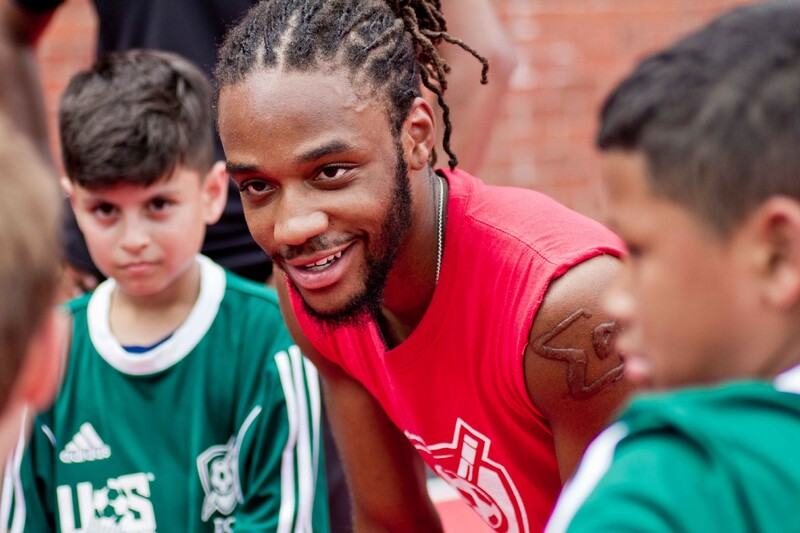 In addition to helping inform our curriculum, many young adults serve as coach-mentors and are trained in helping transform young lives on and off the soccer pitch. In fact, nearly a third of Soccer for Success coach-mentors are between the ages of 18–22. These program and part-time employment opportunities not only serve as an initial gateway to the workforce, but also position these young adults to become community leaders. 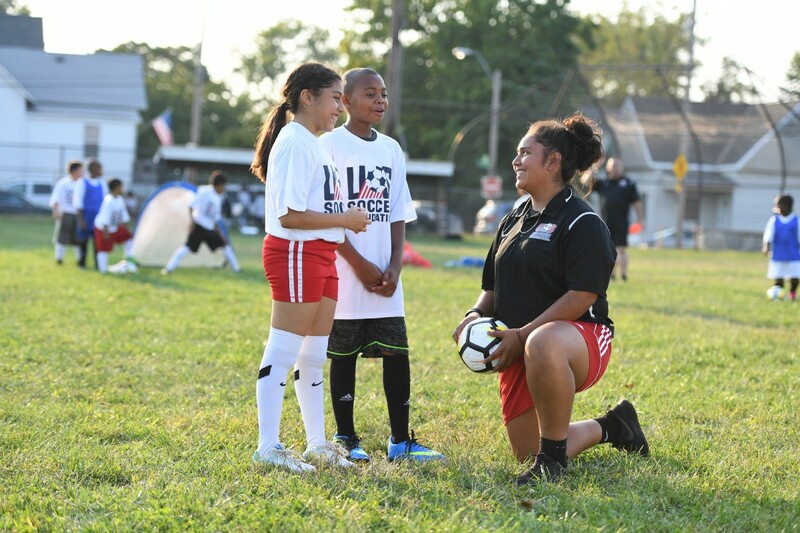 Through our annual National Training and Urban Soccer Symposium, these young leaders can connect with their peers and others in the sports-based youth development field and share lessons and best practices from their community to inform others in the field. Funders need to continue to serve as conveners and ensure that the youth voice, ideas, and innovations are part of the conversation and the solution to the positive changes being made in communities across the country. Encouraging all grantees to integrate youth civic engagement and an equity focus into their work will not only ensure youth voices are heard when determining how to address disparities in communities, but also reinforce that youth are the solution not the problem. 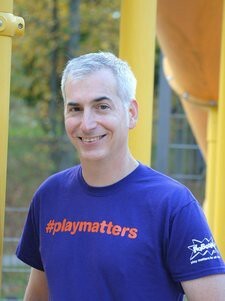 James Siegal is CEO of KaBOOM!, the national non-profit that seeks to give all kids the childhood they deserve filled with play. Prior to KaBOOM!, James served as Chief of Staff for the Corporation for National and Community Service, the federal agency that supports citizen engagement to address community challenges through AmeriCorps, the Social Innovation Fund and other programs. James has broad experience in the public, private and non-profit sectors, including serving as Vice President of Nonprofit Programs and Practice at the leading non-profit coalition, Independent Sector. He also served as Registration Section Chief and Assistant Attorney General at the New York State Attorney General’s Charities Bureau and associate at the global law firm Paul, Weiss, Rifkind, Wharton & Garrison. He is a graduate of Princeton University and Harvard Law School. James and his wife enjoy spending time on the playground with their three girls. 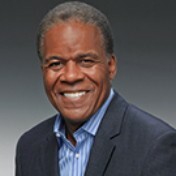 Ed Foster-Simeon is the President & CEO of the U.S. Soccer Foundation. A champion of soccer as a vehicle for youth development and social change, he has more than two decades of experience at the local, state, and national level of the game and has been an active member of the U.S. Soccer Foundation’s Board of Directors since 2004. At the grassroots level, he is a former Vice President of the Virginia Youth Soccer Association and past president of Prince William Soccer, Inc. — a 3,000-player recreational and travel club in Northern Virginia. Prior to joining the U.S. Soccer Foundation, Foster-Simeon served as Deputy Managing Editor at USA TODAY where he was responsible for Washington, Political and Foreign news operations. During his 15 years at USA TODAY, Foster-Simeon opened the newspaper’s Beijing bureau and organized and executed the newspaper’s coverage and logistics for the wars in Iraq and Afghanistan. Foster-Simeon serves on the Board of Directors of the U.S. Soccer Hall of Fame; the Campaign to End Obesity; and serves as an NAACP Trustee. Foster-Simeon is also a U.S. Navy veteran.